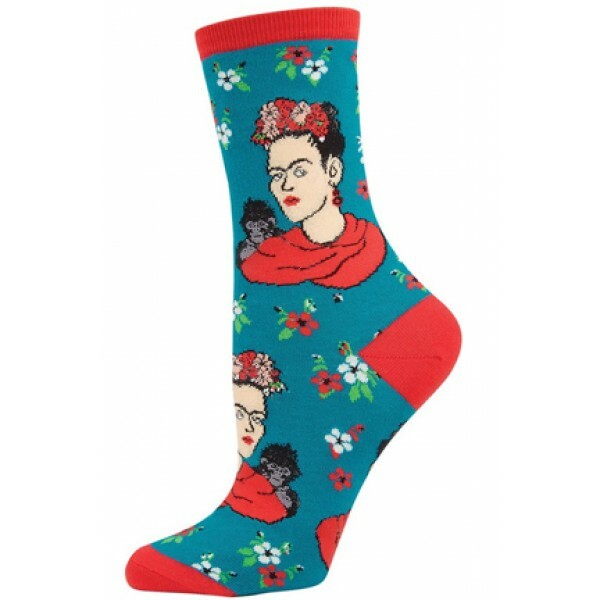 Show off your love of Frida Kahlo with these great Kahlo portrait crew socks from Socksmith! 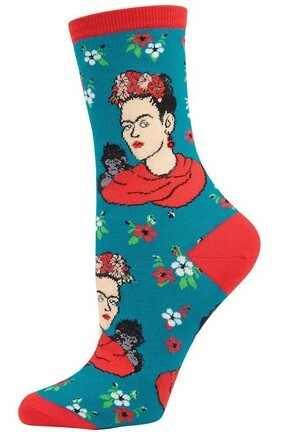 With colorful portraits of Kahlo on a peacock colored background, these socks are sure to stand out. These 63% cotton, 34% nylon, 3% spandex socks fit women's shoe sizes 5 to 10. 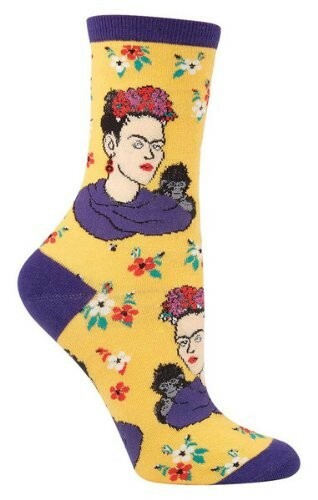 For books and other Frida-related items, visit our Frida Kahlo Collection. To discover Mighty Girl books about other remarkable women artists, visit our Artists / Musicians section in Biographies.